There are two sites in Kyoto that are among the most recognisable and awe-inspiring views available in Japan. However, both are incredibly popular and by nature, very difficult to photograph. 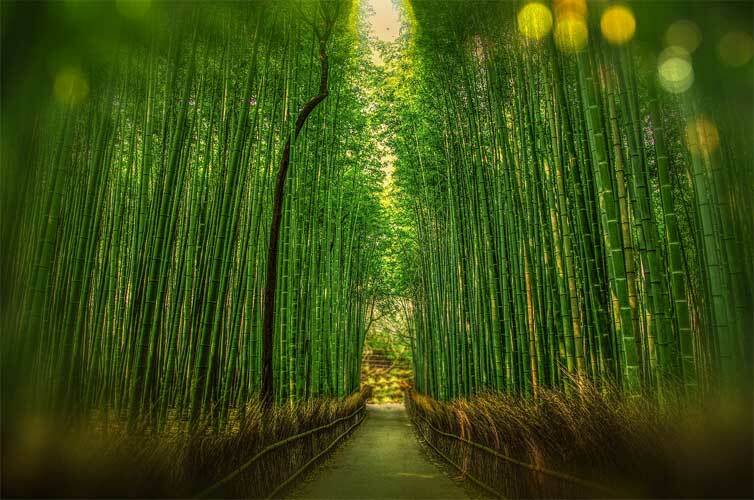 Bamboo is the fastest growing plant in the world, stronger than steel and can survive up to 120 years. The thousands of bamboo trees densely packed together in the Sagano forest are thus an enchanting and towering reminder of ancient Japan. 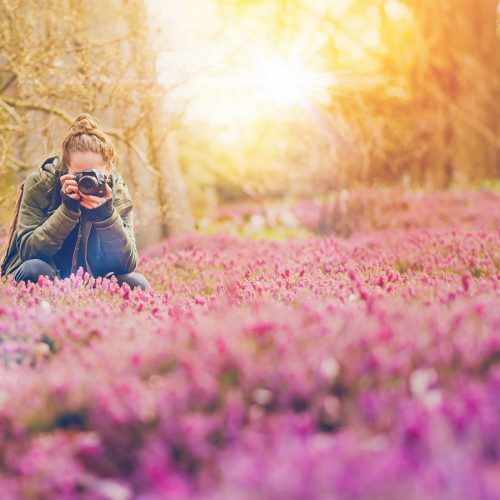 Located in the Arashiyama district of north-west Kyoto and reachable via train, the other-worldly grove is completely free to visit so arrive early if you want to see it without hundreds of selfie-stick wielding tourists. 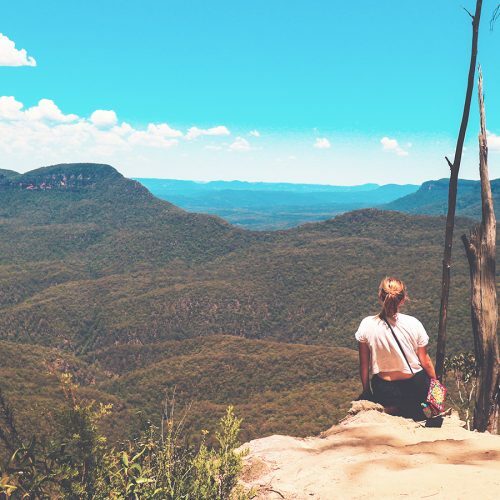 Be warned that the photos really don’t do it justice – you’ll have to experience it for yourself. 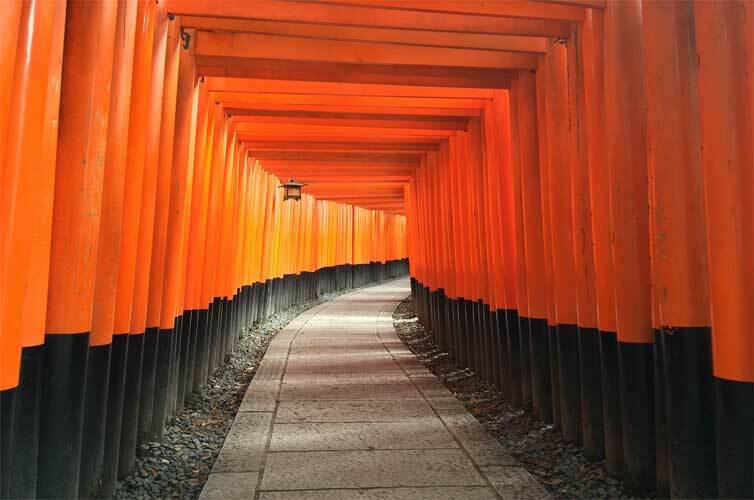 Among the most iconic symbols in Japan is the torii, and the Fushimi inari Shrine is the best example of this sacred image. Nowhere else in the country will you find more of these traditional gates than here in central Kyoto. With an estimated 32,000 lining the route to the top of Inari mountain, getting to the top makes for an incredible walk. It takes 2-3 hours to work your way up and down, though most of your time will be spent patiently waiting for others to photograph the stunning gates. 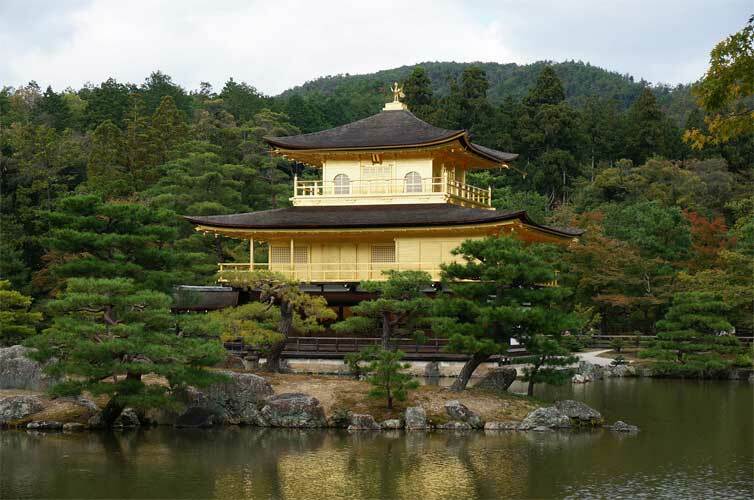 While the Rokuon-ji temple complex contains several buildings, only one is covered completely in gold; Kinkaku-ji. Completed in 1397, the Golden Pavilion is one of the most-visited locations in Japan and is a truly memorable sight, but can only be reached via bus or taxi so plan ahead. 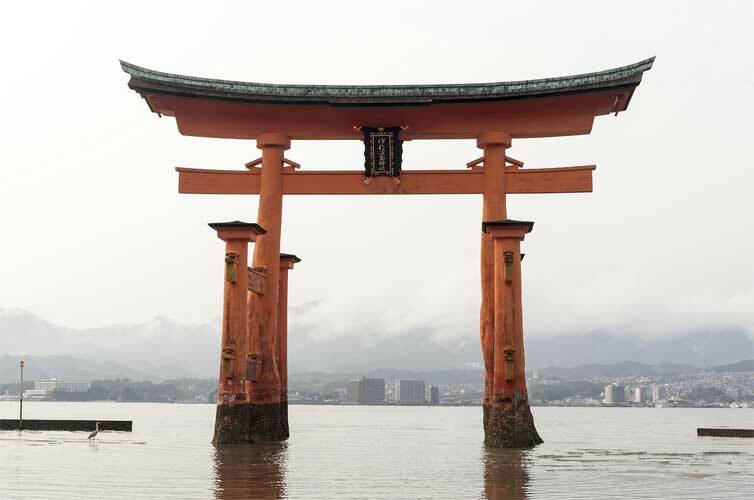 Technically known as Itsukushima (but popularly known as Miyajima), this island off the coast of Hiroshima is heralded as the gateway to Japan. Spare almost a full-day for the delights that Miyajima has to offer. Reached via a (very affordable) ferry from the mainland, you can climb Mt Misen for panoramic views, explore the grounds of the vast Toyokuni Shrine or sunbathe on the beach and gaze at the postcard-perfect ‘floating’ torii. Hiroshima will always be tragically remembered as the site of the first atomic bomb drop in August 1945; forever changing the psyche of Japan and indeed, the world. 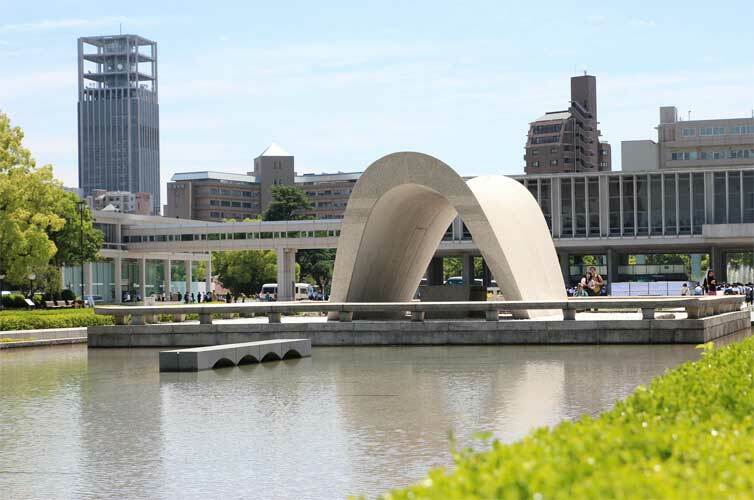 Nowhere is there a more poignant reminder of this than the Hiroshima Peace Memorial Park and particularly the A-Bomb Dome that withstood the blast. 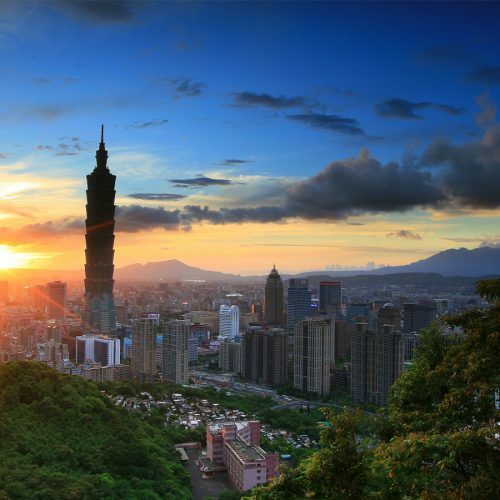 Containing the Peace Flame, the Children’s Monument and the heart-rending Memorial Museum, the park is among the most-visited spots in Japan for people to pay their respects. War has also devastated Japan of its many castles. 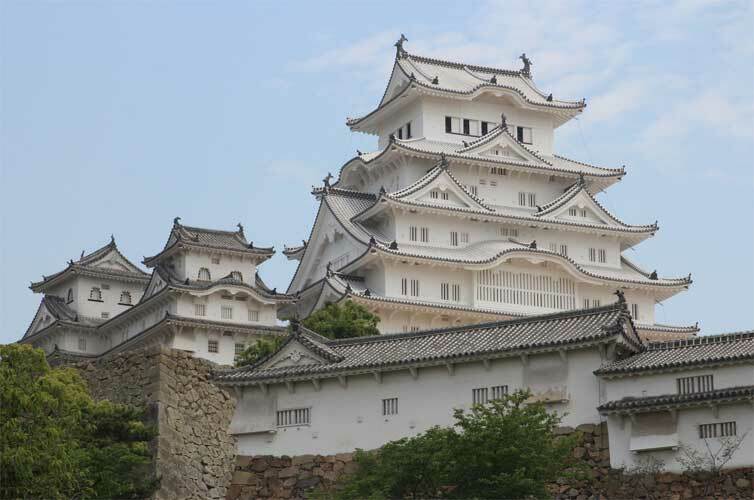 Only twelve ‘original castles’ from the feudal era remain but the best preserved and grandest of these is located in Hyogo Prefecture, just over one hour’s drive from Osaka. While entrance to the castle will cost ¥1040, this allows you to stroll around the expansive complex and adjacent Kokoen Garden. Sakura season when the cherry blossoms are in full bloom is a particularly busy time of year to visit. Alongside the deer of Nara Park and the red cranes of Kushiro Shitsugen National Park, the macaques that live in Jigokudani are some of the most famous animal residents of Japan. 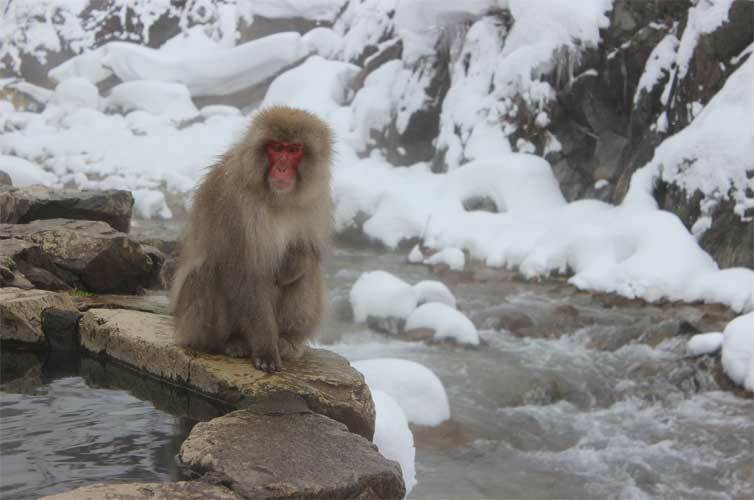 Best accessed from Nagano, the Snow Monkey Park provides its thousands of daily tourists with the indescribable views of seeing these wild animals travel through the snow to bathe themselves in the hot water springs. 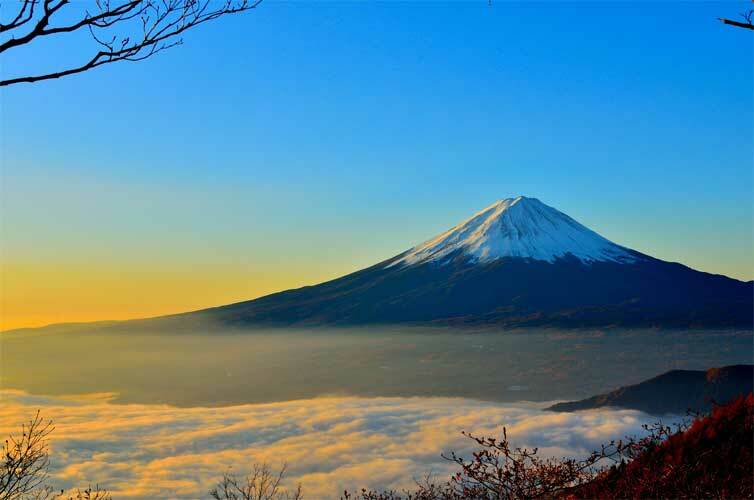 Viewable from the Miura Peninsula, the Izu archipelago, some of Tokyo’s skyscrapers and just about everywhere in-between, there is no shortage of locations to get a great view of Japan’s tallest mountain. An overnight stay at a traditional ryokan at Lake Kawaguchi or Hakone offers the most picturesque views and gazing at ‘Fuji-san’ from one of the towns’ onsens is the most relaxing way of all. Discover the wonders of Japan on a 14 day tour, book today! 1 Comment on "Japan’s Most Popular Tourist Attractions"